Joe Scott Reynolds was born on 14 June 1922 in Greeley, Weld County, Colorado. Harry Woods Reynolds and Maggie (?) appeared in the US federal census of 1 April 1930 in Ronceverte, Greenbrier County, West Virginia, at Walnut Hill Road. Other members of the household included Joe Scott Reynolds. Also in the household was stepson Max Krutzer (age 11). Harry Woods Reynolds and Isma (?) appeared in the US federal census of 1 April 1940 in Fort Spring Township, Greenbrier County, West Virginia. Other members of the household included Joe Scott Reynolds. 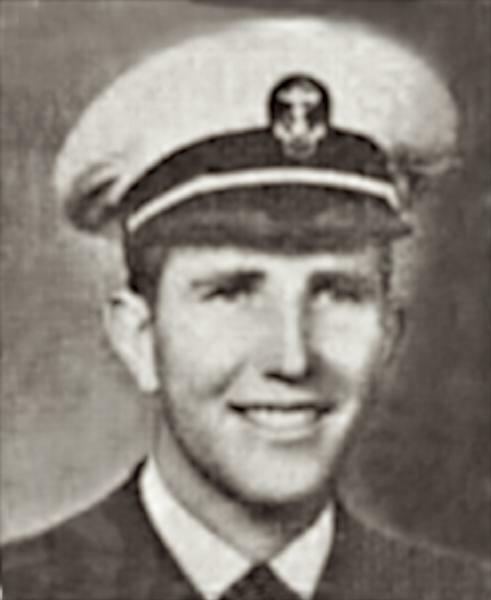 The following appeared in Young American Patriots: The Youth of West Virginia in World War II: Joe Scott Reynolds. Ens., U. S. Navy. Born June 14, 1923 [sic]. Entered service Sept. 28, 1942, Corpus Christi, Tex; Seattle, Wash. Attended Greenbrier H. S. South Methodist Church. Son of Mr. Harry W. Reynolds, Ronceverte, W. Va.
Joe Scott Reynolds died on 17 May 2006 at age 83.